A missing British pensioner is feared dead after his motor boat went up in flames off the coast of Lanzarote. 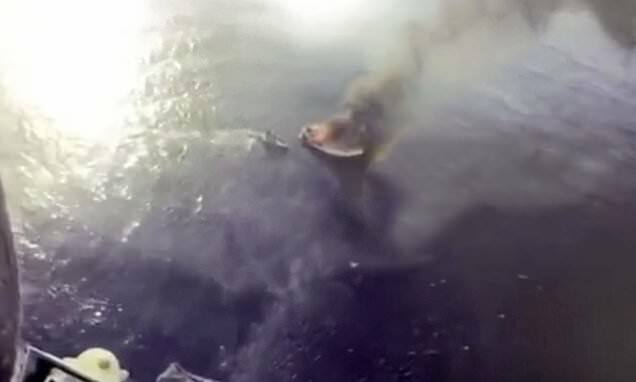 Shocking video from a helicopter above showed thick black smoke billowing from the vessel's hull as it became engulfed in flames. Emergency services discovered the 68-year-old man's wallet in the sea near the boat, but so far have yet to find the Brit. The pensioner's partner confirmed he had left his wallet at the upmarket Marina Rubicon port in Playa Blanca on Lanzarote's southern coast alone around 7.30am.